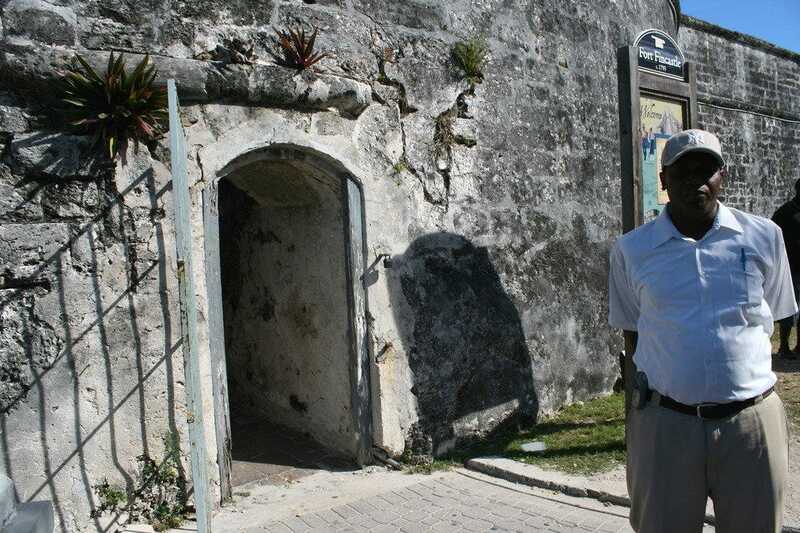 Nassau boasts a long, intriguing history peopled by British Loyalists fleeing the outcome of the American Revolution, swashbuckling pirates, farmers, fishermen, and unfortunate slaves. 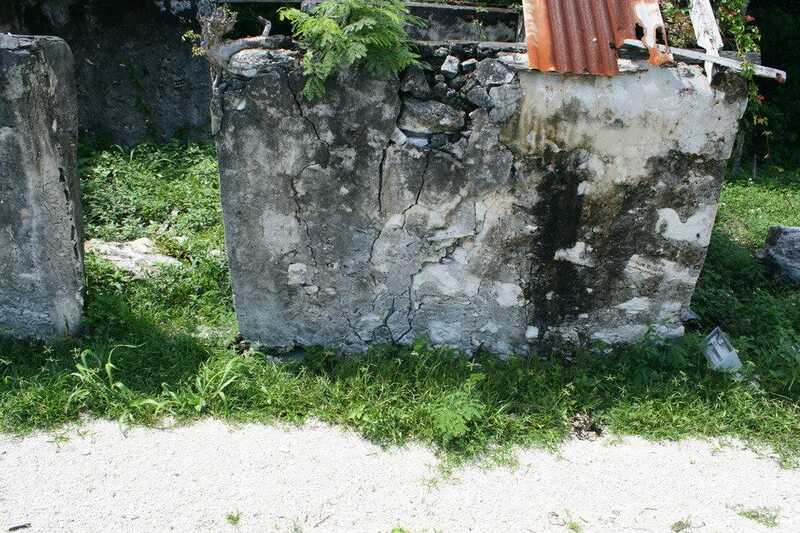 Its colonial roots lay a foundation for an exciting tapestry of architectural sights inter-weaved with the beauty of the island's natural makeup. The result? Diverse sightseeing opportunities that range from the historic - such as Fort Fincastle and Water Tower - to the natural - such as The Retreat - to the cultural - such as Arawak Cay. This list has vetted all of Nassau's beautiful beaches, historic buildings, nature attractions and unusual features to give you the best of the best so you can make the most of your sightseeing time in Nassau. The sights cover the breadth of the Nassau and Paradise Island destination, with stops downtown Nassau, on New Providence's far West End and East End and on Paradise Island. 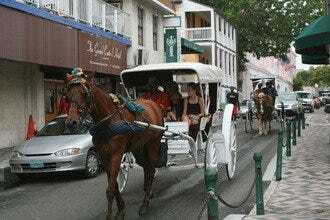 Once you have visited every sight on this list, you will indeed have gained an insightful look into Nassau past and present; you will come to appreciate it as more than a beach and water sports destination with great shopping. 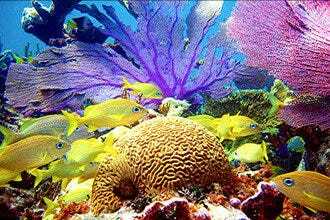 You will know it as a civilization and culture that has risen from its rich natural treasures and storied past. 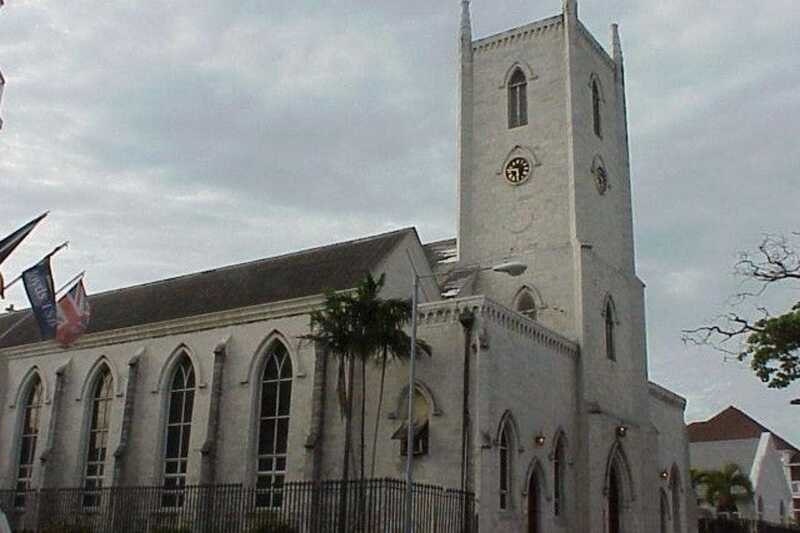 The Parish of Christ Church was established in the 1670s, soon after The Bahamas was granted to the Lord Proprietors of Carolina by the English with the mandate to establish churches in the islands. This is the fifth church to be built on this or nearby sites. Another key date, though, is 1861 when the Christ Church Parish Church became an Anglican and Episcopalian cathedral and consequently, Nassau became a city. 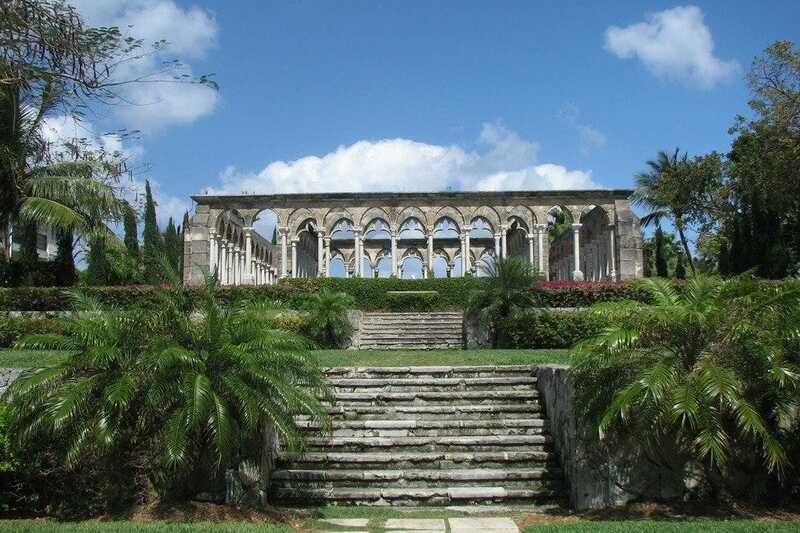 The Gothic style structure is built of local limestone and is known for its beautiful stained glass windows. It also garners admiration for its needlepoint tapestries and kneelers. Near the top of the Queen's Staircase at the highest point of the island stand the ruins of Fort Fincastle, built by Governor Lord Dunmore in 1793. Although small and never tested in battle, the fort provided an excellent vantage point for the lookouts posted to give warning of approaching pirates. 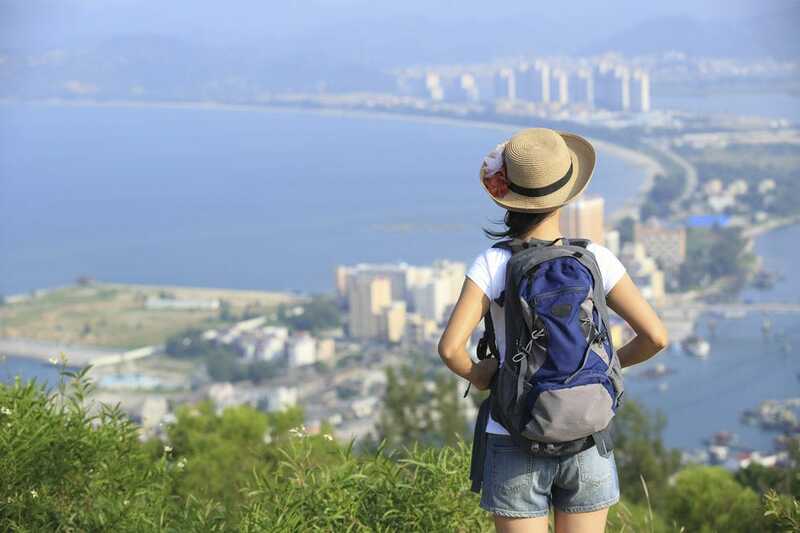 Those panoramic views of the island, the harbor and surrounding waters are prized today by both tourists and locals. The fort's name honors Lord Dunmore's second title, Viscount Fincastle. The adjacent 126 foot water tower was built in the early 1900s and has also served as a lighthouse. The observation deck provides outstanding views of the area, offering true value for the minimal admission charge. 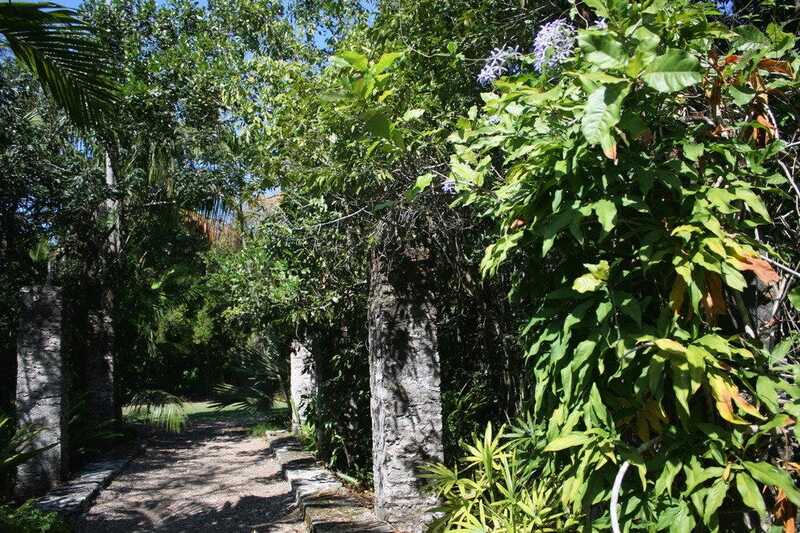 Nearly 300 animals - Vietnamese pot-bellied pigs, Madagascar lemurs, monkeys, jaguars, reptiles and a vast array of birds - call Ardastra Gardens home, and some may share the walkways with you as you amble through the tranquil acreage. Although just a few miles from downtown Nassau, this place feels worlds away from the busy casinos and fast-paced nightlife of the islands. 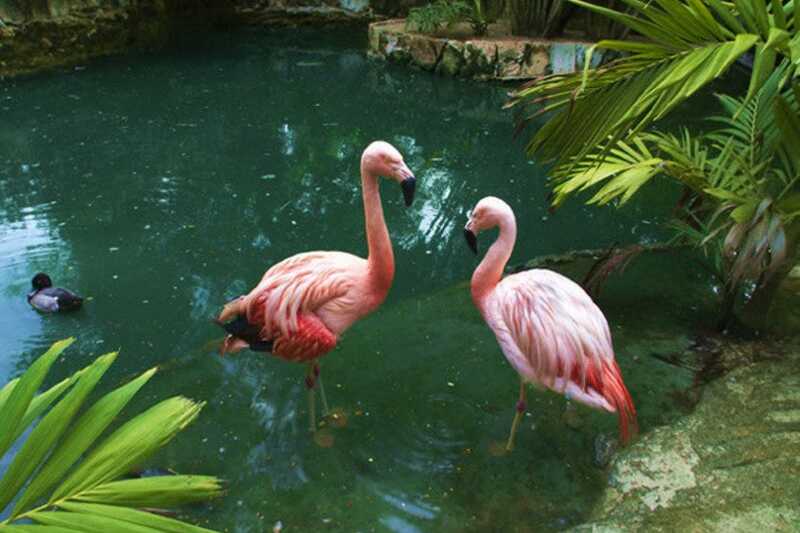 Time your visit so that you see the flock of trained flamingos, national bird of the Bahamas, march in unison. The attraction also schedules feeding times for its lorikeets, and guests are allowed to enter the screened aviary to hand feed the colorful birds - a great photo opp! Although great views abound in The Bahamas, Cloisters and Versailles Gardens on the eastern end of Paradise Island, overlooking Nassau Harbor, offer some of the very best. The carved stone remains of a 13th-century French monastery traveled a long haul to end up here above the sparkling waters. Newspaperman William Randolph Hearst imported the dismantled stones to the United States in the 1920s, but they remained just random pieces of a giant puzzle until A&P grocery store heir Huntington Hartford purchased them in the '60s and had them reassembled (without plans) on his oceanfront Ocean Club estate. 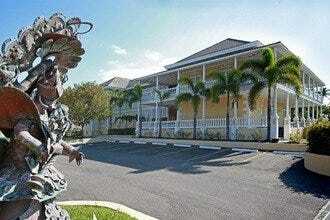 Today the terraced gardens grace the property's One&Only Ocean Club resort, a popular location for weddings. Overlooking Nassau from its elevated position, this has been the official residence of the Governor General of The Bahamas since 1801. 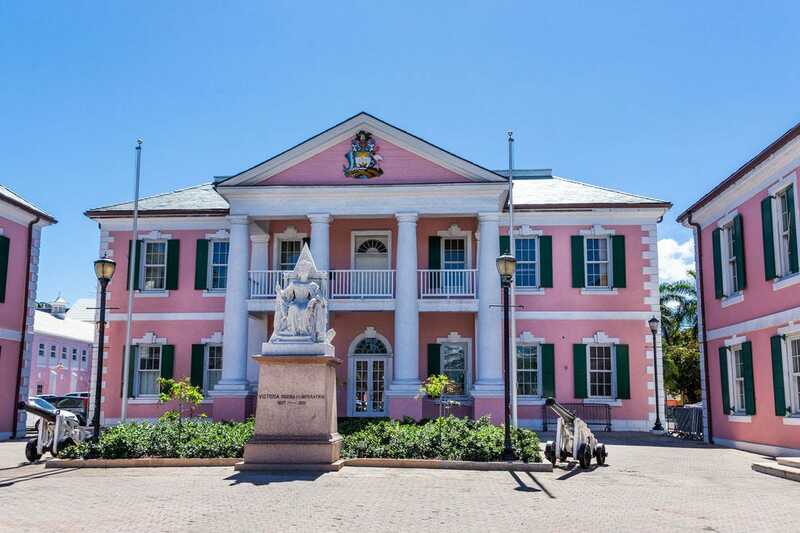 The architecture of the impressive pink and white mansion blends island and American colonial influences, and the size and location testify to the power and esteem granted to the personal representative of the queen. A 12-foot statue of Christopher Columbus stands silent sentinel in front of the mansion, honoring the explorer's Bahamian landfall in 1492. Interior tours are not available, but try to time your visit to include the pageantry of the Changing of the Guard ceremony, which takes place every other Saturday at 10 a.m. 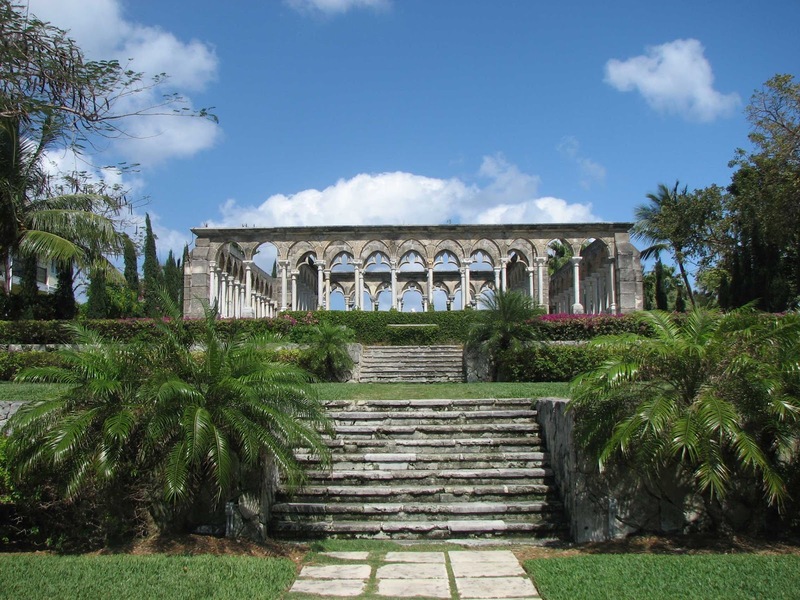 The Retreat, located in residential Nassau and once a private home, serves as the headquarters of the Bahamas National Trust, which develops and manages the national park system. The 11-acre garden includes one of the largest collections of rare and exotic palms in the world, with native orchids, ferns and other trees sharing the spotlight. Although it is popular with tourists, gardeners and researchers, it is enough off the beaten path that you can still enjoy the serenity and calm beauty of the shaded oasis. But it becomes very busy during the two annual fundraisers for the Trust: the Art & Wine Festival in October and late November's Christmas Jollification. Downtown Nassau seems thousands of miles and a couple of dozen years away from the rest of the Bahamas, particularly the Out Island - or Family Islands, as locals call them. Arawak Cay brings a little of the flavor of the Out Islands to downtown's outskirts. 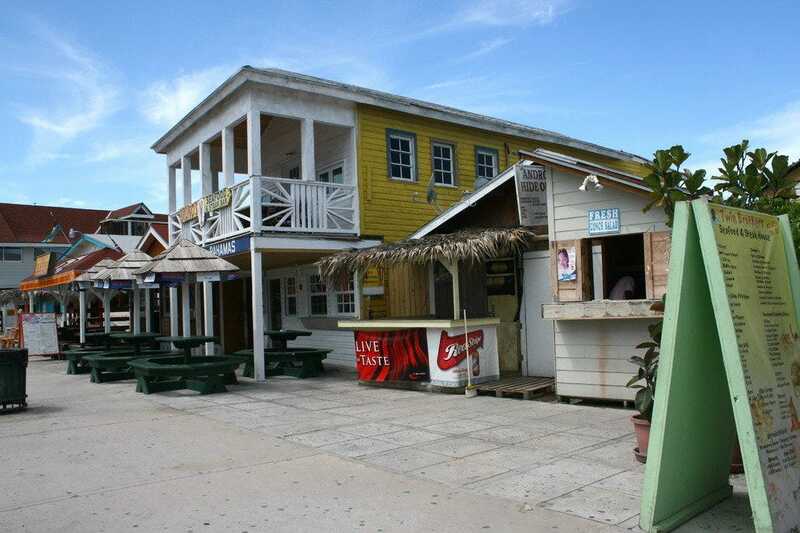 The cluster of clapboard buildings reflect Out Island architecture, and the restaurants that reside within take their cues from the true Bahamian cuisine of Andros, Abaco, Eleuthera and other less Americanized and commercialized Bahamian islands. 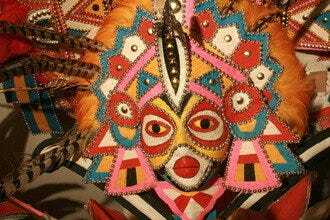 Stop in for lunch or dinner with the locals and stay for the live local music that keeps Arawak Cay lively into the night. 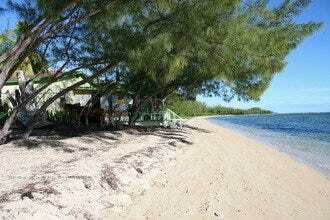 This 156-acre site on the rural side of Nassau provides a pleasant respite from cruise ship mobs and bustling traffic. 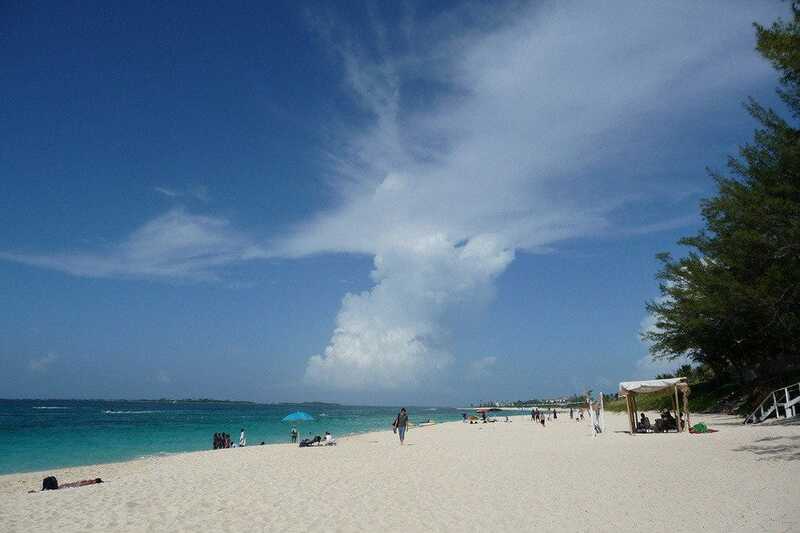 It preserves a natural beach, the remains of a prehistoric Lucayan Indian village, the ruins of several 18th- and 19th-century plantations and artistic wooden sculptures. 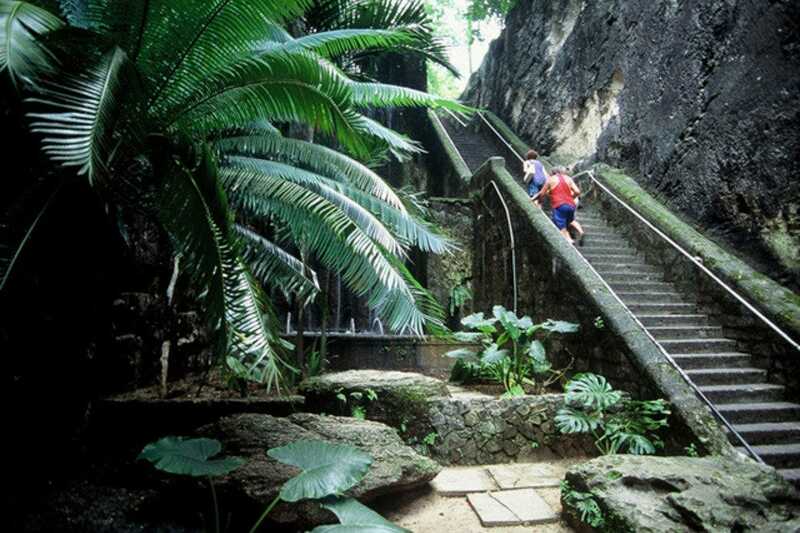 Trails take visitors past the plantation manor and slave hut ruins and to the Pirate Steps leading down to the sea. Once a major colonial seaport, it still functions as an industrial pier for adjacent Esso. 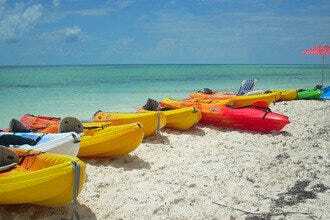 Shuttles take visitors to Jaw Beach, a natural stretch where great blue herons and sooty terns live. In addition to its historical sights, it preserves a natural environment of coppice, shoreline, wetlands, forest and offshore seagrass beds.